If you've been looking for cheaper and best data tariff that you can opt in for then we have some list here, at least you enjoy them without cheat niether trick all work perfect on all internet enabled devices. Don't forget we have four strong network in Nigeria, Glo, MTN, 9mobile and Airtel. Every network providers has their data list but it seems some are more cheaper than other. Recently we posted here that Glo slashes its data plans into two, we also post here data list of individual network providers. Since some of the network providers has change data plans then we look for an alternative even though they are not free but you enjoy better subscription at cheaper price. Since Glo data plans are very huge, they no longer bother in the usefulness of their tariff plans. They no longer add more data bonus to their plan but based on my thorough research, I found the Glo Jollific8 tariff plan better than other tariff plans when it comes to data offer. Jollific8 is a tariff plan for new customers ONLY on the Glo network which provides the following benefits when the sim is activated: 8 times the value of recharge amount, free voice and data bonus and free data to gift. However, there’s no specific code in migrating to the tariff plan. Just buy a new SIM, register, activate it and you are automatically on the Jollific8 tariff plan. Start recharging and you begin to get 8 times the value of recharge plus free data to gift someone. • Recharge N100 and get extra N800 airtime + 10MB data. • Recharge N200 and get N1600 plus N100 (25MB to gift). • Recharge N500 recharge gives N4000 plus N200 (50MB to gift). • Recharge N1000 recharge gives N8000 plus N400 (100MB to gift). 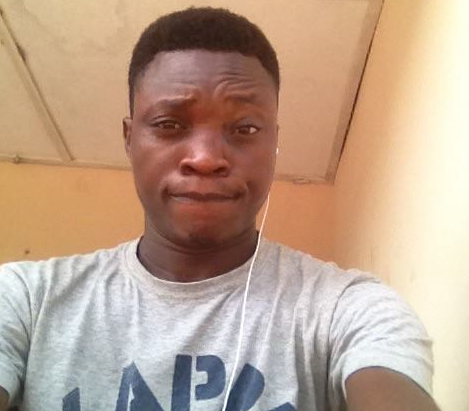 • Recharge N5000 recharge gives N40k plus N2k (500MB to gift). How do I receive and enjoy the Jollific8 bonus? Just recharge by dialing *123*PIN# and you will automatically receive 8 times the value of your recharge plus free data to gift someone on the Glo network. Make calls and use data to enjoy these benefits. Where am I charged from when I browse if I have Jollific8 bonus Airtime and I’m currently subscribed to a data plan? – You will be charged first from your data plan before your Jollific8 data bonus account can be charged when you are browsing if you have a data plan. Which account is charged first if I have credit in my Main account? The bonus accounts are charged first and Main account will be charged when the bonus accounts have been fully depleted or expired. How do I check my Jollific8 bonus balance? By dialing #122# for Voice/data benefits and *606# for data gift benefit. SmartTRYBE is specially designed to keep you connected with everything that’s up with your Trybe! With the best rates on data and calls to all networks, night browsing for your favorite movies, series and music and special campus data deals, you never miss a thing. You even get more data when buy data plans on campus. Free 15MB every week: The 1st recharge of N100 will give 5MB and the 2nd N100 recharge within that week will give 10MB to make up the expected 15MB in one week. The maximum every week is 15MB. Calls at 11kb/sec to all networks: Once you migrate to Airtel SmartTrybe, your calls will be charged based on the tariff plan rate. Night browsing: You will get N25 for 500MB every day of the night. Valid between 12midnight and 5am. Data bonus of 1GB for N500: valid for complete 7 days. 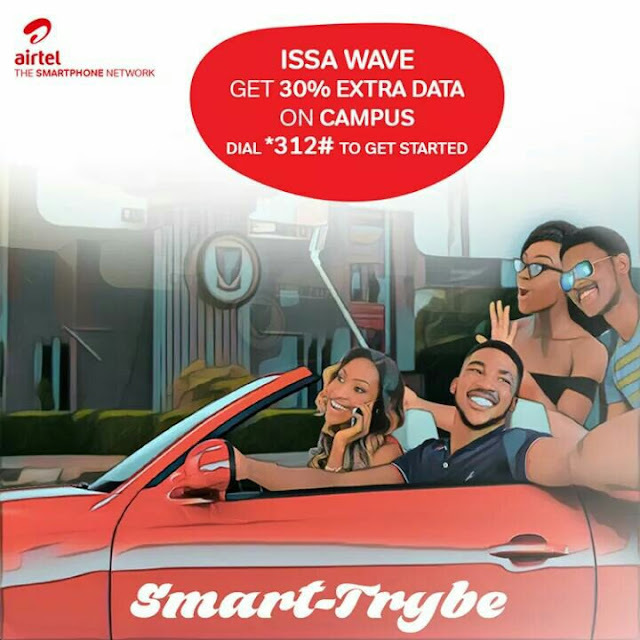 You can activate this offer only when you on Airtel SmartTrybe Tariff plan. Call rates of SmartTrybe: You will be charged 20kb/sec when you make the first 50 secs call and 51 secs and above will be charged at 11kb/sec to local calls. While international calls to UK/US/China/India/Canada will be charged at 20kb/sec and other destinations will be charged at standard rate. Campus Data Bundle: 30% extra data on bundles of N500 and above purchased in all campuses in Nigeria. To enjoy and get more of your data, you can migrate to SmartTrybe and buy data plans by dialing *141# and purchase any data plans inside the campus. It will be doubled. Check your data by dialing *140#. To subscribe or migrate to SmartTrybe Tariff plan, buy an Airtel line; existing subscribers are to dial *312# to opt-in. Among all the 9mobile tariff plans, MoreCliq offers you more goodies on data. 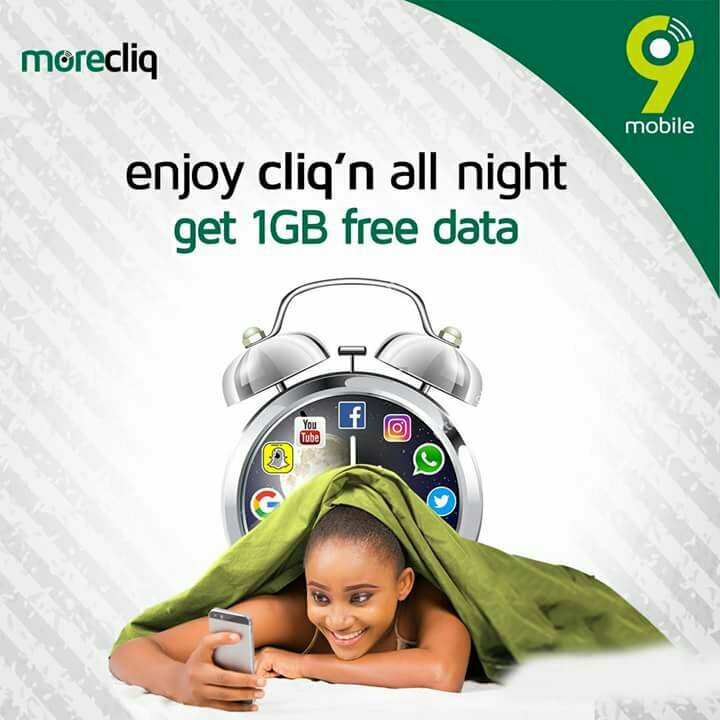 9mobile morecliq offers 15MB free data, free midnight calls, free downloads and bonus airtime for receiving calls. 15MB of free browsing weekly: Recharge N200 weekly between Monday to Sunday and enjoy 15MB free data. Valid for 7 days. 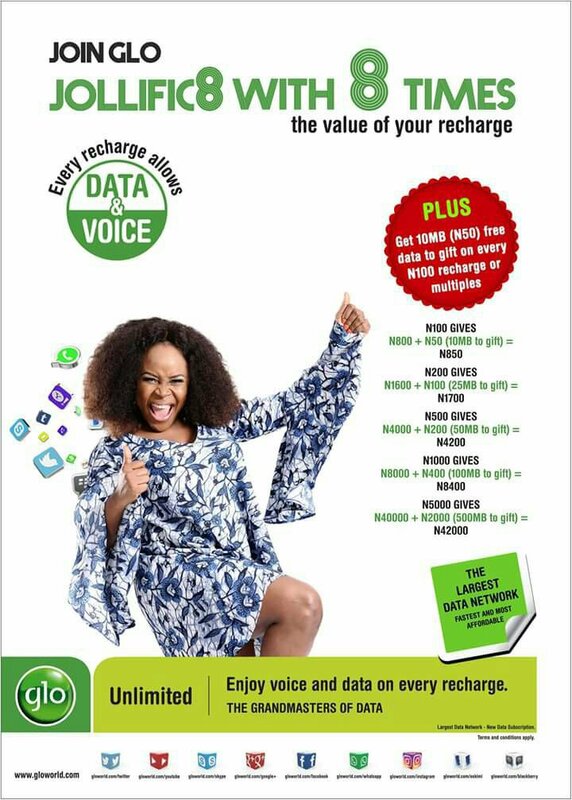 10 free MMS weekly: Recharge ₦200 weekly and enjoy 10MMS free to send to 9mobile numbers only. 1MB worth of free browsing daily: Subscribe to the cliq-4-d-day service by dialing *330*1# at just ₦5 and enjoy an extra 1MB daily. Free midnight calls: Recharge a minimum of ₦100 and enjoy free night calls to all 9mobile lines from 12.30am- 4.30am. Bonus on incoming calls: For every five minutes call received from other networks, you get one minute worth of free call to use in the cliq community. 150% bonus on every recharge this offer is available to all new morecliq subscribers and it can be used to call all networks. Unlimited SMS: For every billed SMS, you will be granted a free sms to any 9mobile line. Receiver pays function: The receiver pays service allows you to make a voice call and the cost of the call is paid by the receiving party. To initiate, just dial 268 before the 9mobile number of the person you want to speak to. Regressive tarriff: Use up to ₦25 daily and enjoy reduced call rates. 20k/sec to the cliq community, 25k/sec to other 9mobile numbers and 30k/sec to other networks. One click-one tune: It’s a service that allows you to confirm if a friend’s line is part of the morecliq package. To use, dial *273* and your friend’s number#. You can join the Breakfree bonus package while on MoreCliq by dialling *545# and activate 100% double data. This will double any of your purchased data plan. To migrate or subscribe to morecliq on a new SIM, dial 200 and press 2 or dial *244*1#. 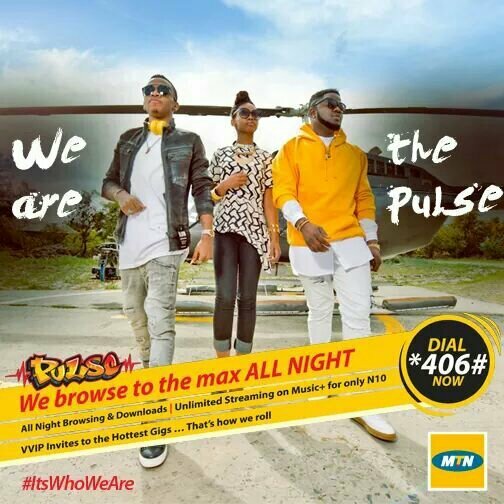 MTN Pulse tariff plan is a prepaid tariff plan that allows you enjoy FLAT rate of 11kobo/sec for calls ACROSS ALL local Networks in Nigeria after spending N11 daily and exclusive data bonus. Flat rate of 11kobo/sec for calls ACROSS ALL local Networks after spending N11 daily. Music streaming on Music+ at N10/day. Happy Hour night browsing at N25/day. 100% data bonus on purchase of 500MB weekly bundle Data bonus on recharge. Goodybag bundles are also available for you to enjoy the best of social media with the cheap subscription packages. You will receive 10MB if you recharge with ₦100 but if you recharge with N200 or more, you will receive 20MB. You will receive this free data ONLY on your first recharge of the week. To view the bundle, simply dial *556#. You can subscribe to 500MB weekly bundle by sending 103 to 131 or by dialing *406*2# and the bundle fee of N500 will be deducted. You will then receive 1GB in your account. You can check your bundle balance by sending 2 to 131 or by dialing *131*4#. Valid for 7 days. To subscribe to Music+, send M to 5900 and the subscription fee of N10 will be deducted. You will only enjoy the service for 1 day after which you will be required to subscribe to the weekly or monthly plan to continue enjoying the service. Happy hour bundle will NOT be activated for you as soon as you migrate to Pulse. You will be required to subscribe by sending Night to 131 and the subscription fee of N25 will be deducted. This is also known as night browsing plan, it can be used from 12am to 4am in the night. Here is the list of best data tariff plans you need to know , Glo, MTN, Airtel and 9Mobile with the different bonuses attached to each packages, remember no trick , follow the post to enjoy the best and cheaper data from network of your choice.